Rara National Park is one of the potential tourist destinations of Nepal. This pristine lake boasts the blue turquoise water along with coniferous forests around. It is a truly exquisite place with away fewer numbers of tourists on the way. This sacred lake is fully indulged in fascination with mountains, floras, and faunas around. Yet it is the smallest National Park of the country, it covers the area of two most remote regions of Nepal; Mugu and Jumla. And, it offers the biggest Rara Lake in the country. 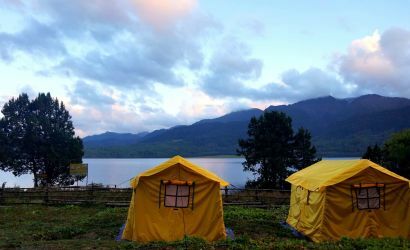 As soon as you enter inside the Rara premise, it is almost sure that you will get awestruck by the elegance of this lake. How big, how silent and how clear. Just wow!